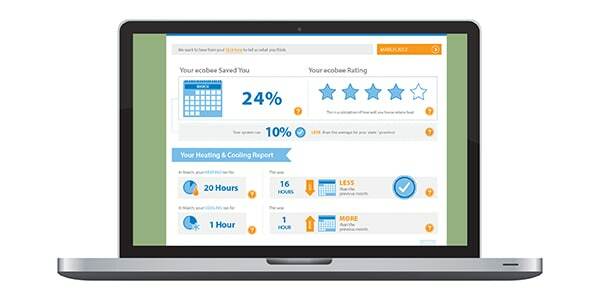 Today's thermostats are more than just the “brain” of your heating and cooling system. Sure, they're responsible for keeping your home or office comfortable year-round, but depending on how "smart" they are, thermostats can significantly reduce usage and energy costs. They may even be able to anticipate the next heat wave or blizzard by receiving weather reports and sending them to your smartphone! Thermostats work by taking outdoor and indoor temperature readings against the user's settings and signal the corresponding system, i.e. heat, cooling, air quality, in order to bring the space back into an acceptable range. Picking the right thermostat will ensure you get the most of your equipment - comfort, efficiency, and peace of mind. With so many options available, choosing the right thermostat may seem intimidating, but we've outlined everything you need to know to make sure you pick the right model for your home. At the most basic level, you will need to make sure that your thermostat is compatible with the equipment installed in your system based on type, voltage, and the number of stages. Once you’ve identified compatible thermostats, you can narrow your options based on programmability, user interface, price, and other available features. What do all these wires do? Thermostats come in low-voltage, line-voltage, and millivolt configurations. Low-voltage and millivolt thermostats use thin 18 gauge wire that connects to wiring terminals on the thermostat. Line voltage systems use much thicker wiring and often connect to the thermostat with wire nuts. Regardless of the type of system, it is critical to shut off the power supply before working with any wires. Additionally, any work on line voltage systems should only be performed by licensed professionals. Low-voltage control wires are often color-coded and terminal naming is pretty standard from one manufacturer to another. However, it is best to label your wires when replacing your thermostat in case standard colored wires were not used. Common Terminal (C) – The common wire is analogous to the neutral wire in a standard electrical system. It completes the circuit and allows the thermostat to be powered from the 24V transformer in the system. Thermostats without a C terminal must rely on another source of power such as a battery or power stealing from the control circuit. Power Terminal (R, Rh, Rc) – The R wire is the “hot” wire of the control circuit. It is the source of power to operate the thermostat and signal the various components of the system to operate. Some thermostats will have a single terminal “R”, while other thermostats will have separate terminals for the cooling system (Rc) and the heating system (Rh). When a thermostat with two separate terminals is used on a system with a single transformer for both heating and cooling, a jumper is needed to connect the two terminals. Heating Terminal (W, W1, W2, W3, etc.) – The W terminal is used to send a heating demand to the equipment in the system. For systems with multiple stages of heating, the W1 terminal calls the first stage of heat. The remaining heat terminals call the remaining stages in order. Compressor Terminal (Y, Y1, Y2, etc.) – The Y terminal is used to signal the air conditioner or heat pump to operate. Similar to the heating terminals, if multiple Y terminals are present, they are called sequentially. Heat Pump Reversing Valve Terminal (O/B) – Heat pumps use a reversing valve to switch between heating and cooling operating modes. Some manufacturers energize the reversing valve during heating operation and use the B terminal. Other manufacturers energize the reversing valve in cooling operation and utilize the O terminal. Some thermostats have a single terminal labeled O/B that can be configured for the necessary operation. Fan Terminal (G) – The G terminal is used to control blower operation. Auxiliary and Emergency Heat Terminals (Aux, E) – Heat pumps often require backup sources of heat when temperatures drop below a certain level. The auxiliary and emergency heat terminals are used to activate a backup heat source in these applications. Will it work with your equipment? The most important type factor in choosing a thermostat is the type of equipment it will be controlling. Forced air is the most common system type in the U.S. and major thermostat manufacturers such as Honeywell, White-Rodgers, and ecobee design their thermostats with these types of systems in mind. If your forced air system includes a heat pump, be sure to select a thermostat containing an O/B terminal to control the reversing valve. Hot water and steam systems often have different control needs than forced air systems. To address these unique needs, we recommend using controls designed for hot water and steam systems such as those from Tekmar. Many electric heating systems are controlled by supplying or disconnecting power to the equipment and require line voltage thermostats. Make sure that the thermostat you choose is rated to handle the power required for your heating equipment. Nearly all boilers, furnaces, air conditioners, and heat pumps use low-voltage (24V) control signals and the majority of thermostats are designed to work at this voltage. Older systems that have pilot lights may sometimes use millivolt controls. If your system uses millivolt control signals, you must purchase a thermostat that is rated for millivolt operation. Many electric heating systems use the thermostat as the switch to control the supply power to equipment. In these applications, a line-voltage thermostat will be required. Make sure your thermostat is rated for the same type of power supply as your equipment. Many modern heating and cooling systems use staging to increase efficiency, by more closely matching the output of the heating and cooling equipment to the needs of the space. To get the most benefit out of these types of systems it is important to have a thermostat that supports at least as many stages as are present in the system. The simplest thermostats on the market support a single stage and heating operation only. 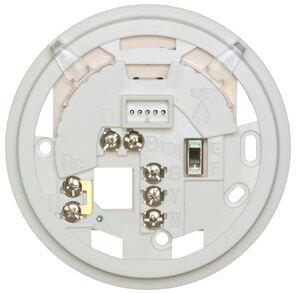 These types of thermostats will be labeled as 1H, for 1 heating stage. 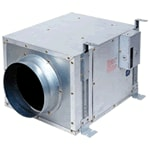 A single stage heating and cooling system will require a 1H/1C, 1 heating stage and 1 cooling stage. This nomenclature continues into more sophisticated thermostats (e.g. 3H/2C indicates a thermostat is capable of controlling 3 heating stages and 2 cooling stages). It is important to choose a thermostat that supports at least as many stages as are present in the system. Some thermostats may support different numbers of stages depending on whether they are used in a heat pump system or not. This will often be listed as 3H/2C – Heat pump, 2H/2C – conventional. This is because heat pump operation uses the compressor terminals (Y) and reversing valve terminals (O/B) rather than the heating terminals (W). Great, now what can it do for me? The main function of a thermostat is to decide about when to activate equipment. A non-programmable thermostat will simply maintain a set temperature until that temperature is manually changed. This means your home will often be heated or cooled even when nobody is present. 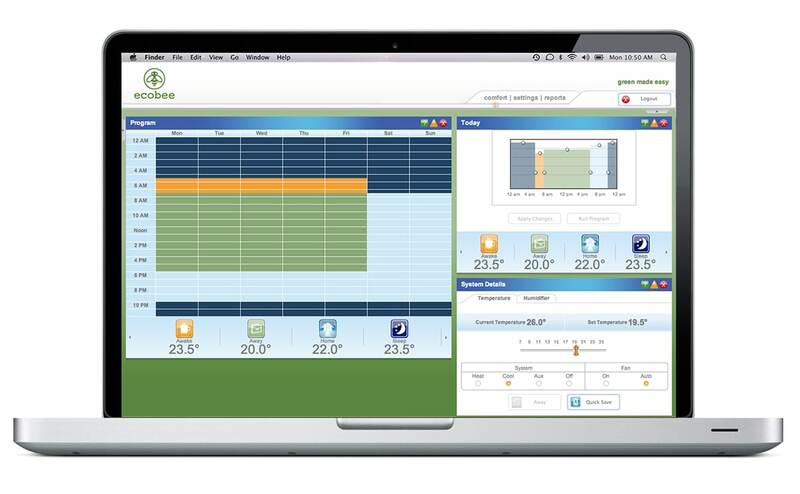 Daily – The thermostat is capable of storing and executing a single schedule that repeats every 24 hours. This type of control is best suited for spaces that have similar needs regardless of the weekday. 5-2 – This type of thermostat supports one schedule for the 5 weekdays and a separate schedule for 2 weekend days. 5-1-1 – The 5-1-1 thermostat is very similar to the 5-2 thermostat above in that it supports a separate schedule for weekdays and weekends. However, it will support a schedule for Saturdays and a separate schedule for Sundays for a total of three schedules. 7-Day – A 7-day programmable thermostat will support a separate unique schedule for each day of the week. Once the thermostat is on the wall, the interface is how you’ll interact with it for the rest of its life. Typical thermostats have an interface with basic switches and buttons allowing you to toggle settings like mode, fan, and temperature. Others have “soft keys”, buttons which change function based on the menu you are accessing. Some modern thermostats use touch screens, creating a familiar experience for tech-savvy users. 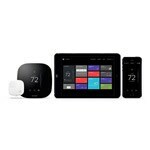 Smartphone apps and internet-based interfaces are available for higher-end thermostats like the ecobee, Nest, and select Honeywell products. These interfaces often allow a homeowner to monitor and track energy usage in addition to controlling their system. Some thermostats either include or offer optional sensors to provide more information about your system, your home, or outdoor conditions. These sensors can include outdoor temperature and humidity sensors, remote room temperature sensors, occupancy sensors, and other information gathering devices. This information is often used to optimize system operation in changing conditions. Internet-enabled thermostats are sometimes able to pull weather information from online and show outdoor conditions and a weather forecast. They can alert you on your mobile device any time the system is running or if dangerous conditions exist like if it's getting cold enough for the water pipes to burst, or it's so hot your pets are suffering. WiFi thermostats also can link-up with other smart home devices like smoke detectors and home monitoring devices to alert you of a potential break-in, fire, or unsafe levels of carbon monoxide. Many homes have additional equipment beyond typical heating and cooling, such as humidifiers, dehumidifiers, whole-house fans, and other devices. Premium thermostats offer dedicated functionality to control these types of devices. There is a chance that you will sacrifice some functionality by using a single multi-purpose control rather than dedicated controls for each device. However, there are also efficiency and comfort benefits to be gained from coordinating the operation of these various components. There are a variety of other features designed to make operating and maintaining your heating system at peak efficiency as easy as possible. 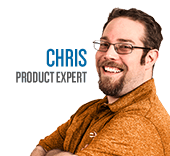 Some common features include service reminders, email alerts, and “learning” functionality. Service reminders are a way for the thermostat to prompt you when it’s time to inspect or replace key components, like air filters. Email alerts can notify you in the event equipment malfunctions or needs attention - they can alert your contractor as well so that problems can be resolved as quickly as possible. Some thermostats can learn your schedule and temperature preferences, and use this information to create a schedule that optimizes comfort and efficiency. Thermostat Buying Guide - How to Pick the Perfect Thermostat. Our heating, ventilation and cooling equipment how-to library can help you pick the perfect comfort solution for your home.